Anyway, coming up this Saturday we have the amazing Laura Ray – I won’t try to list all her names because it gets a little confusing – with her new book, “Brain Dead and Still Cooking.” Awesome recipes, and an hilarious style make this a great gift! Pair it with her first book, “Brain Dead in the ‘Burbs,” for twice the awesomeness! Yes, we’ll be open this Sunday, noon to 5:00 p.m. for a special event – and you ALL SHOULD COME! Instead of trying to reinvent the wheel, I’m going to add the press release for this FANTASTIC, ONCE A YEAR EXTRAVAGANZA! Checking your list? Checking it twice? Books make great gifts, and there’ll be plenty of chances to shop ’til you drop at the St. Louis Literary Consortium’s Second Annual Holiday Book Fair. 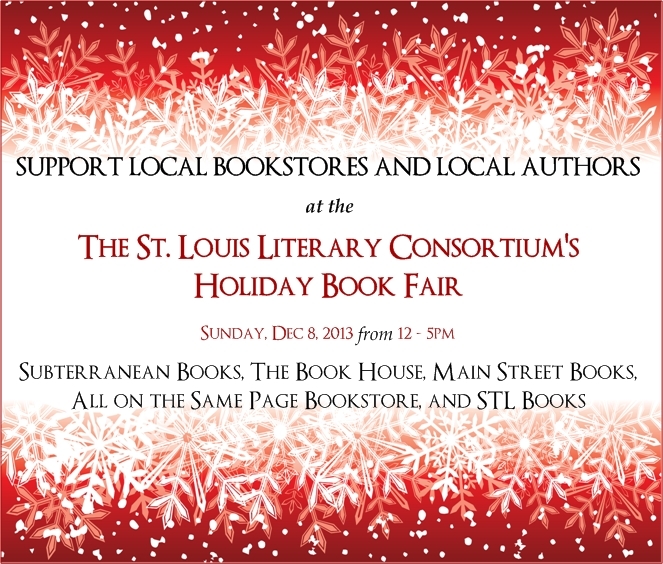 Set for Sunday, December 8, 2013, from 12 noon to 5 p.m., the Book Fair will feature the work of local writers at five locations around the St. Louis Metropolitan Area. “We’re always happy when we can partner with independent booksellers to support local authors, and the Holiday Book Fair is a great opportunity for us to do that,” said Winnie Sullivan, who heads PenUltimate Press, a Consortium member organization. The St. Louis Literary Consortium, formed in 2012, is an alliance of literary organizations whose purpose is to promote the literary arts in the Greater St. Louis Metropolitan Area. 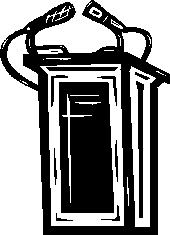 Its members include Blank Slate Press, the St. Louis Writers Guild, the St. Louis Poetry Center, and Walrus Publishing. And writers will be on hand to sign their books at the Creve Coeur, Maplewood, and Kirkwood locations. So come out and join in the holiday fun. Shop at your neighborhood bookstore, browse at one of the newer bookstores in the area, or visit all five! For more information about the Holiday Book Fair, contact Kristina Blank Makansi at kbmakansi@blankslatepress.com or any of the participating organizations, whose website addresses are: www.blankslatepress.com, www.stlwritersguild.org, www.penultimatepress.blogspot.com, www.stlouispoetrycenter.org, and www.walruspublishing.com. So, there you have it! Saturday AND Sunday this week! Plus, we have book bundles, and new items, and NEW coffee, tea, and hot chocolate! Come on down! This entry was posted in Uncategorized and tagged author, book, bookstore, buy, Missouri, new, novel, robin tidwell, st louis, write, writer. ← Prep Monday – Baby, It’s Cold Outside!